A motorist contacted the Bossier Sheriff’s Office around 9 a.m. to report seeing what appeared to be a vehicle in the water just south of the spillway. 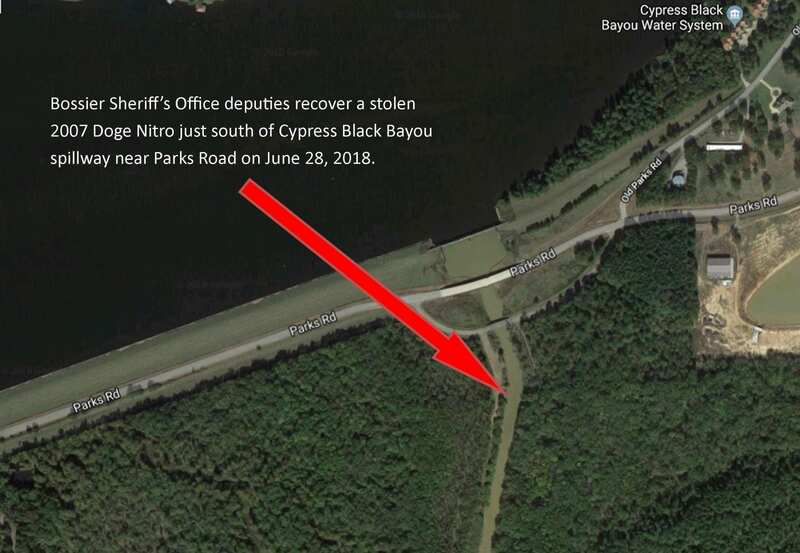 When Bossier deputies arrived at the scene, they found the vehicle completely in the water with just a portion of the top showing through the water’s surface. The deputies could not see any persons around, and they acted quickly to get the vehicle out of the water with the tow truck that had already been dispatched to the scene. Deputy Jessie Bearden took off his rig belt and jumped in the murky water to hook the tow chain onto the vehicle. 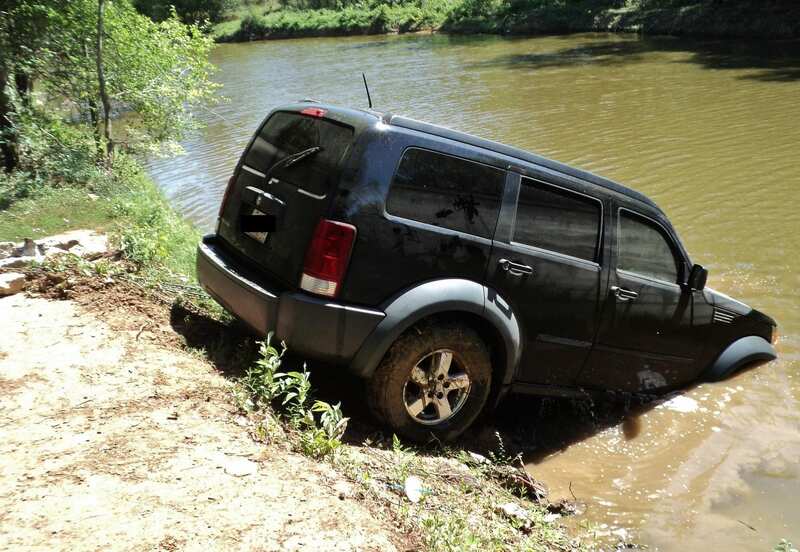 When they pulled the 2007 Dodge Nitro to dry land, they found the vehicle empty. Bossier Crime Scene Investigators further processed the vehicle for any other clues or evidence as to what happened or if anyone had possibly been in the vehicle. They discovered the seats in the vehicle had apparently been burned.